When, at the end of World War II, Underwood stopped making M1 carbine rifles as its contribution to the war effort, and went back to doing what it did best, that is to make typewriters, it found a much changed industry. Mechanical quality was being superseded in the marketplace by the demand for a "new look". In the circumstances, Underwood decided to concentrate on what it did even better, that is to make standard-size typewriters. Pre-war, it had never been able to really match the range or the portable typewriter sales of Corona (or Smith-Corona), Remington and Royal. But its standard machines, most notably the No 5, had established Underwood as a superior manufacturer of these size machines to Remington, with the Royal 10 emerging as the Underwood 5’s more significant rival (although Underwood, at more than five million units, still outsold Royal by more than two to one). 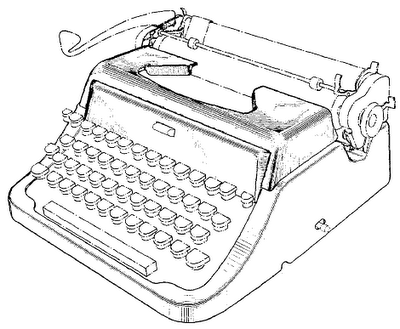 In terms of company sales, the problem with high-quality typewriters such as the Underwood 5 and the Royal 10 was that they were built to last, and DID last. As for portables, Underwood did as Royal had done in the immediate post-war period, which was to remarket its pre-war model under a slightly modified guise. In Underwood’s case, however, this move to the Leader was not as marked and did not prove to be quite as successful as Royal’s continuing revamping of the Quiet De Luxe had been. Smith-Corona took a clear lead with its new range of Joe Barkdoll-designed portables in 1950. But of more concern to Underwood would have been Royal’s renewed thrust into the standard typewriter marketplace, with attractive contemporary designs, in the early 1950s. Underwood, by the middle of the decade, realised it had to broaden its sales options to keep abreast. It saw that it needed to produce a new range of portables. 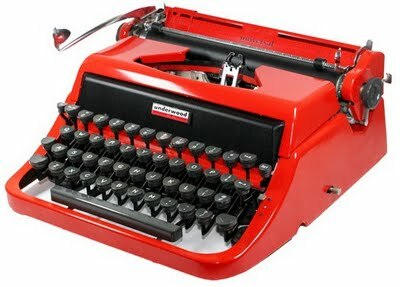 The way had been shown by Olivetti in Italy with its Marcello Nizzoli "new age" designs, even to a greater extent than Royal with its Henry Dreyfuss-designed “new look”. Underwood elected, however, not to follow the low-profile portable European designs of Olivetti and Hermes, but to build a range that might compete on the home (US) market with the larger Smith-Coronas (that is, excluding the Skyriter) and Royals. Underwood did, nonetheless, take the example of Olivetti and Royal in recruiting leading designers to completely reshape the bodies of its portables, to bring them into line with a popular contemporary look. It also grasped the need to use brighter colours than the previously standard black or grey. These colours were highly fashionable, if by later standards still largely somewhat muted. 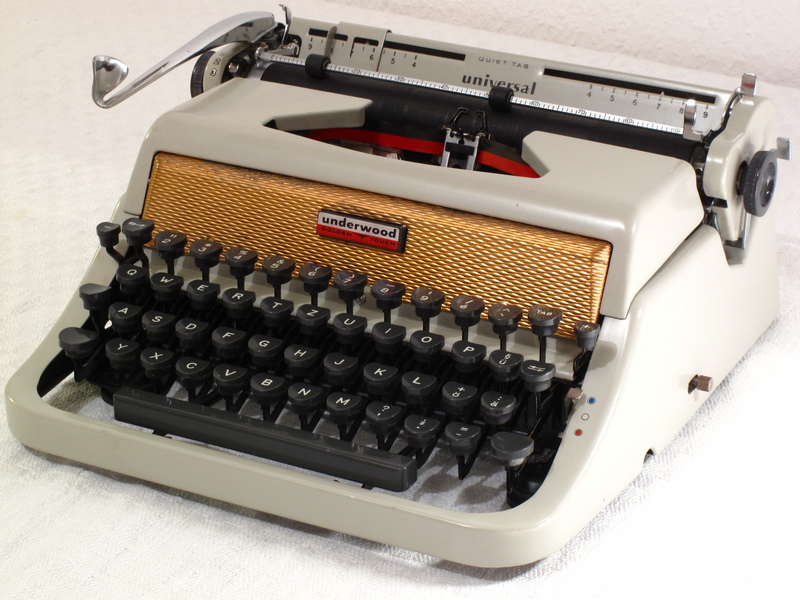 Underwood went to top US designers Paul Artem Braginetz and Raymond Spilman, asking first Braginetz (below) and then Spilman to come up with a line of stylish casings to meet the market demands of the times. Braginetz started in 1956 with the Underwood Universal Golden Touch (below), the most influential new typewriter design of the era, one which was to inspire later designers for Royal and Remington in the US, as well as Olympia in Germany and Brother in Japan. To this same range, Braginetz added the simply spectacular Underwood De Luxe Quiet Tab and the Universal Quiet Tab. These three Braginetz designs were to lay the foundation for Spilman’s designs two years later. 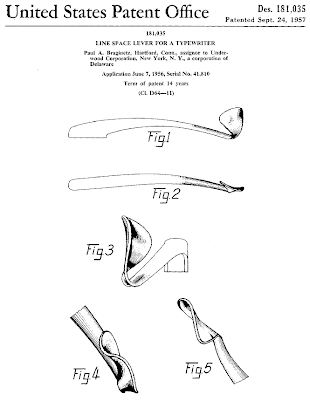 The Braginetz designs, however, can easily be distinguished from the later ones from Spilman by what Braginetz called his line spacer lever. 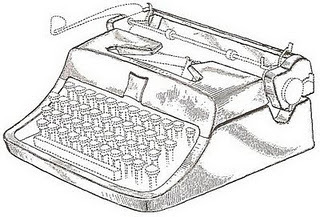 This unique, distinctive design can be seen on all of the Braginetz portable typewriters. I set out to feature Underwood portables from my own collection in this series. Unhappily, I have failed to locate my Universal Golden Touch with the golden protruding grille (it’s a worry). And so I have taken the liberty of using an image of Adwoa's beautiful example (above), just to illustrate my point here. 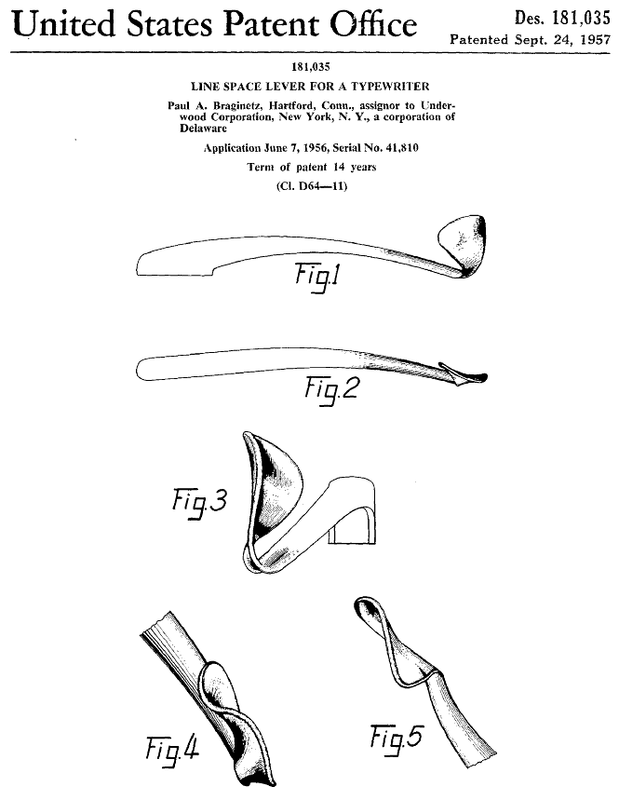 Spilman’s most obvious change was to turn this protruding frontspiece (somewhat bulbous in the case of the De Luxe Quiet Tab) into a slightly concave front for a one-piece ribbon cover. And, of course, remove Braginetz’s lever. This new and hugely attractive range of Underwood portables failed to save this great typewriter company. Outside of the US, Underwood was hit by import restrictions in parts of the British Empire which lingered on more than a decade after the war had ended. 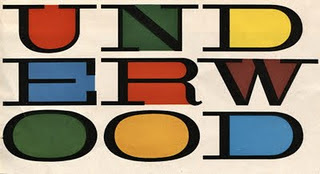 In Australia, for example, Underwood had taken over the Stott company for distribution purposes, but came up against a growing flood of Olivettis and other European brands. By late 1959. Olivetti had a controlling interest in Underwood, and within three years owned Underwood outright. Sadly, the days of US-made Underwoods, and of distinctly Underwood designs, were over. TOMORROW: The "transitional" Underwoods of the early 1960s - Underwoods in name only; not American, but Italian. Very nice machines and article. It is such fun to look at the Underwood portables of the '50s. Nice job. Thanks Richard and Bill. It was fun getting these typewriters out and using them, they type so beautifully. I must admit I like the feel of the Leader best of all. Thanks Bill for being so kind about me trying to demonstrate the caps-figs arrangement on the Underwood 3. Interesting article as always. Those are great to look at. I have some leaders that are not great to use. In the 50's they had that great globe logo too. I wonder if the curlicued paper supports owe anything to Salvador Dali's moustache? I'm trying to identify this Underwood: http://imgur.com/a/9UjbI -- it looks like a Quiet Tab De Luxe, kind of, but it doesn't say Quiet Tab and it doesn't have the push button to open it...or the numbered bail! The serial is R2403854, which doesn't correspond to anything I can find in the serial number database. Any ideas what this thing is? Optima portable typewriter: E14 or Model 40?